Reality speaks a language of symbols. Each part is a metaphor of the whole. In Salgado’s photographs, the symbols disclose themselves from the inside to the outside. The artist does not extract the symbols from his head, to generously offer them to reality, requiring that they be used. Rather, reality selects the precise moment that speaks most perfectly for it: Salgado’s camera denudes it, tears it from time and makes it into image, and the image makes itself symbol – a symbol of our time and our world. 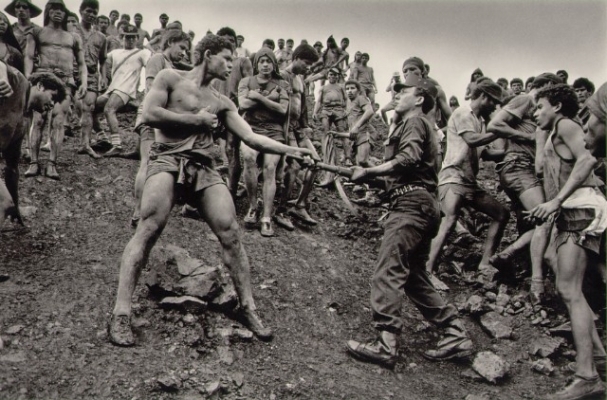 — Eduardo Galeano on Sebastião Salgado, We Say No: Chronicles 1963-1991, p. 249.